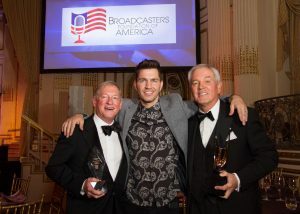 On February 28, 2017 at the Plaza Hotel in New York City, more than 250 radio and television broadcasters came together in support of the Broadcasters Foundation of America’s mission and raised $280,000 to help broadcasters in need. 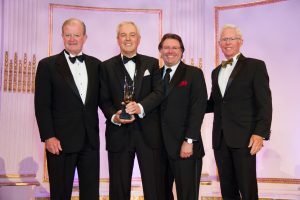 The event honored Paul Karpowicz, President of Meredith Corporation’s Local Media Group, with the Broadcasters Foundation of America 2017 Golden Mike Award. The Broadcasters Foundation also presented the 2017 Lifetime Achievement Award to Bill Hoffman, retired President of Cox Media Group.